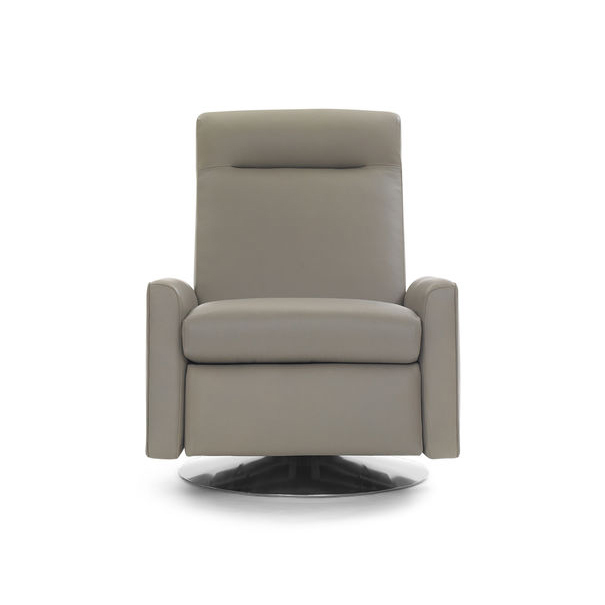 Not your parents’ living room recliner. Tilton boasts our modern take on a classic: a futuristic style that also swivels. 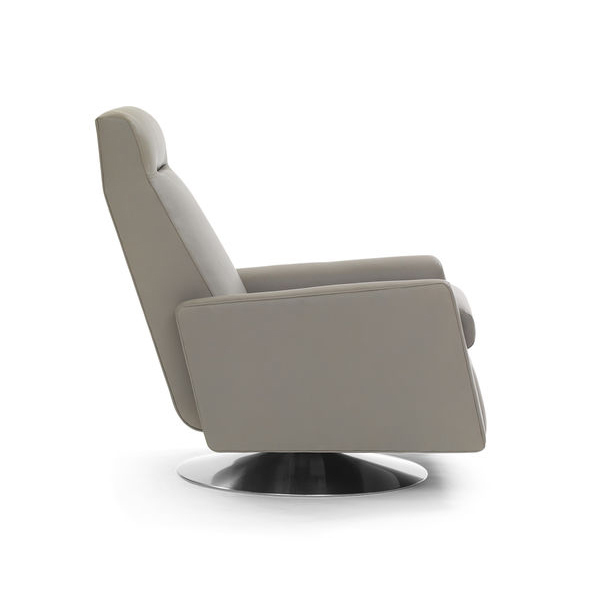 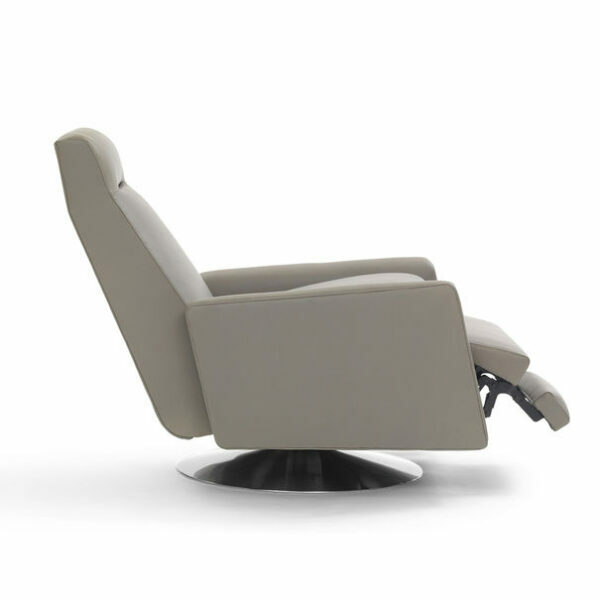 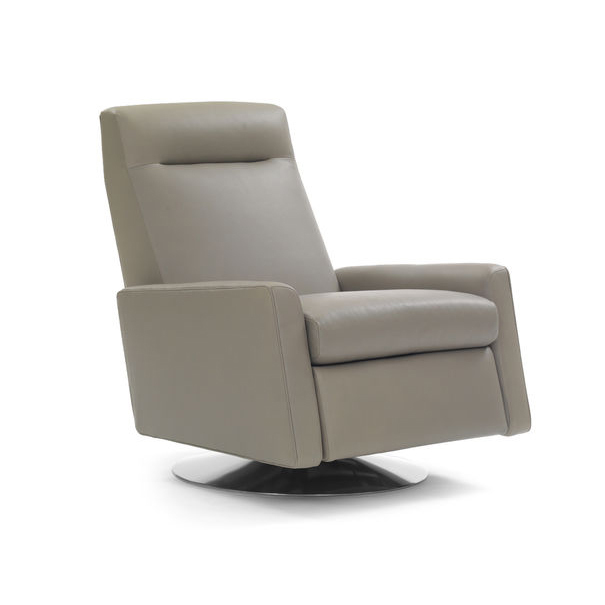 Comfortable recliner features an angular profile, brushed stainless steel tulip base and a shallow blind-pull detail, separating the back and headrest. 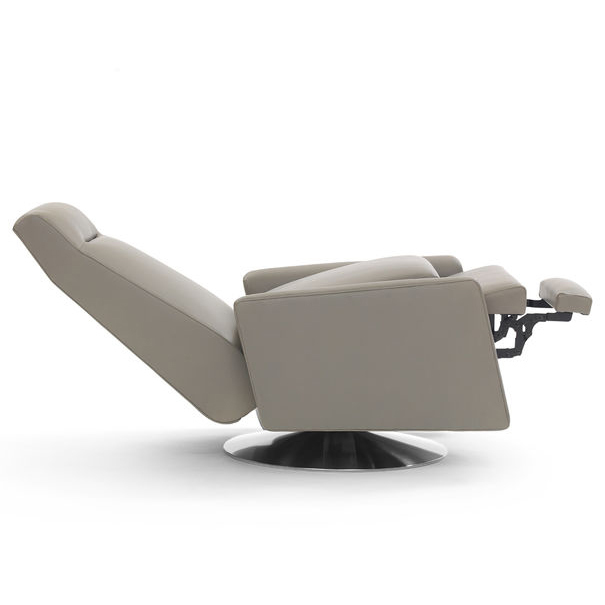 Push arms to easily lean back and deploy a plush foot rest.